Jim Collura has a nationwide energy and construction litigation practice in which he has handled hundreds of millions of dollars in claims. His experience includes trials in state and federal courts across the country. 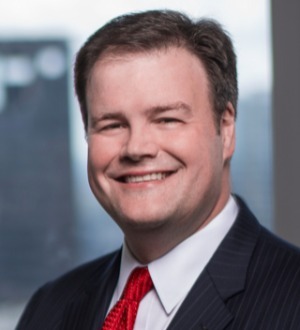 Jim has represented plaintiffs and defendants in state and federal court in Arkansas, Colorado, Delaware, Florida, Georgia, Louisiana, Mississippi, Pennsylvania, Oklahoma, Ohio and his home state of Texas. This experience includes complex litigation with an emphasis on matters involving fraud, covenant not to compete enforcement and defense, theft of trade secrets, commercial construction disputes, breach of contract, oil and gas matters, business torts, trademark infringement and environmental issues. Jim’s clients range from new start-up organizations to companies with a global reach. In addition to litigation, Jim advises clients in a manner that reduces their exposure to litigation and helps bring their long-term business goals to fruition with proactive legal guidance. For example, Jim has assisted clients with commercial matters and frequently provides training to oil and gas professionals on the drafting and negotiation of master service agreements and commercial terms. A frequent lecturer on oil and gas commercial law topics, Jim presented at the 2016 International Association of Drilling Contractors Contracts & Risk Management Conference. He has also provided a presentation to the Houston Bar Association Litigation Section on recent changes to the law of covenants not to compete. Jim has been listed in Texas Super Lawyers three times and was named a Texas Super Lawyers “Rising Star” five times. Jim is rated by Martindale-Hubbell® as AV Preeminent Rated. He is also a Fellow of the Texas Bar Foundation. University of Nebraska - Lincoln, J.D. University of Nebraska - Lincoln, B.S.